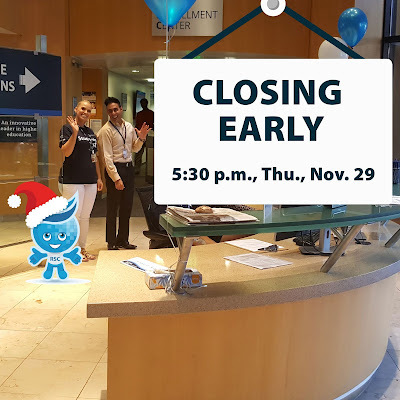 Most Rio Salado Tempe headquarters services will close early, at 5:30 p.m. on Thu., Nov. 29 for a staff event. Please visit our location pages for details about each location and service. We will resume regular business hours on Fri., Nov. 30.